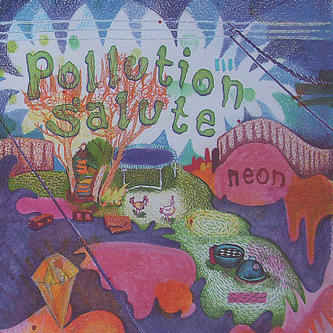 There could hardly be a more appropriate title for this debut album from Pollution Salute (aka Michael Fray) than ‘Neon’. And neon is exactly what springs to mind as fizzing electronics bumble and whirr into gear on this chirpy pop offering. Comparisons will no doubt be made to electronic pop stalwarts The Postal Service, but I can hear just as many nods to the classic early Morr Music catalogue as to that North American duo. There is a keen ear for the barely heard – tiny sounds and subtle changes form the backbone of the record, and in this there is plenty to suggest that Fray owes more to the Icelandic scene (most specifically Mum) than he might let on. Regardless, this is an enjoyable slice of 21st century pop music.